Home Unlabelled Do You Believe in Plagarism? Plagiarism: such a vulgar word and ambiguous term when we're talking about music, especially 20th century pop. There have been numerous lawsuits against musicians (usually by other musicians or record companies) claiming that they copied a previously released song. Poor George Harrison was accused of (and later fined for) unintentionally copying the melody of The Chiffons' "He's So Fine" in his hit "My Sweet Lord." In this case, I personally don't think the two songs sound alike enough to cry plagiarism. But earlier today, I discovered two songs that have a portion so similar to each other, I had to listen to one several times in disbelief. They are an unlikely couple: Huey Lewis and the News' "Do You Believe in Love" and Electric Light Orchestra's "Sweet Talking Woman." 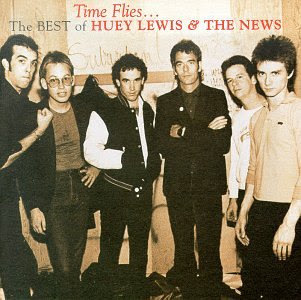 First of all, I want to make it clear that I love Huey Lewis and the News, and I'm in no way accusing them of plagiarism. But my discovery is kind of ironic considering Lewis sued Ray Parker Jr. over his 1984 "Ghostbusters" theme, claiming that it sounded very similar to the News' "I Want a New Drug." The case was settled out of court, but according to Wikipedia, Parker later sued Lewis for talking about the case on a VH-1: Behind the Music special. I was hopin hopin for a chance to meet." Just a looking for someone to meet." Let me know what you think - is it just me...or just a coincidence? Spot on!! Just stumbled across this myself. Grew up on Huey Lewis and hadn't heard the ELO song until today. At least not the part in question. Disappointing. I was an ELO fan when I was a teenager. I remember hearing the Huey Lewis song repeatedly on the radio when it first came out, and every time it bugged me that it sounded like the ELO song. Without any doubt! It also has "Do Ya" incorporated...another ELO song. It's like 2 ELO songs in one! Honestly, I couldn't agree more. Noticed it the first time I heard it. Yeah. In fact every tune I hear the Huey tune, I fill in the ELO-like backing vocals for them in the matching lines. Just a looking (looking) for someone to meet."